(Steve Griffin | The Salt Lake Tribune) Dignitaries, including LDS Church President Thomas S. Monson, cut the ribbon to officially open the City Creek Center mall in Salt Lake City, Utah, on Thursday, March 22, 2012. The church built the shopping and housing center for $1.5 billion. Isn’t religion, they argued, supposed to be about feeding the hungry and clothing the poor? How is selling Tiffany jewelry, Nordstrom cocktail dresses and luxury condos any part of a Christian faith? Such critics, though, fail to understand Mormonism, says historian D. Michael Quinn. The American-born movement has always seen its mission as serving both the spiritual and physical needs of its people. It doesn’t distinguish between the two. The church, launched in 1830 in upstate New York with six members, counts nearly 16 million members worldwide — and untold billions in assets. It wasn’t alway so. At one point, the federal government confiscated all its properties, withholding them for nearly a decade. Thereafter, the Utah-based faith endured cycles of near bankruptcy every 20 to 30 years until it finally found its economic footing in the 1960s. No matter the precise bottom line, these figures represent an astonishing accomplishment, Quinn says. Yet LDS general authorities — from the most senior apostle to the lowest-ranking Seventy — all receive the same yearly “living allowance”: $120,000. Though the church has enormous wealth, he says, none of the leaders is getting rich off it. ‘Mormon Land’ — Historian D. Michael Quinn talks about his exploration of LDS Church wealth. What he found may surprise you; it did him. The LDS Church declined to confirm any financial statistics or participate in this story. Others, though, may not be as comfortable as Quinn with how corporate the church has become. For that, it takes some historical perspective. 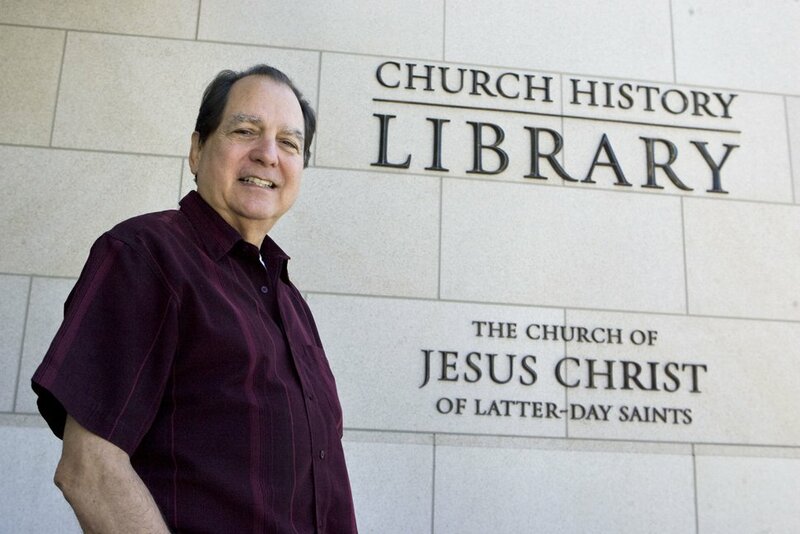 (Tribune file photo) D. Michael Quinn at the LDS Church History Library on Aug. 9, 2013. Quinn's new book about Mormon church finances has just been released. As he delved into the lives and connections of LDS apostles and prophets, he was determined to document and profile their business enterprises and how they were related. Initially, Quinn wanted this new book on the Mormon hierarchy’s wealth to cover only the faith’s first 100 years, from 1830 to 1930, but the publisher, Salt Lake City-based Signature Books, insisted he explore all the way into the 21st century. It became a massive undertaking, especially since most of the church’s modern financial records are private. Quinn worked on this final installment of his trilogy intensely for a few years, then off and on until 2008, when he returned to it full time. The finished product totals more than 500 pages, with nearly 1,000 footnotes and scores of charts and graphs. Quinn’s tome does not reveal any hidden slush funds, untoward personal spending or malfeasance at the highest levels, Wimmer says, but it offers insights through the arc of history the professor has never before recognized. Like Quinn, the economist was impressed by the skilled leadership of men who brought their financial wizardry to their religious assignments. For instance, the price tag for building temples and new chapels used to be borne by local members. Now the Salt Lake City headquarters picks up the tab. Just last month, LDS Charities provided an additional $11 million in relief to eight famine-stricken nations in Africa and the Middle East. Few could have imagined such resources when the faith’s finances began with $3,000 (equivalent to more than $72,000 in 2010) from farmer Martin Harris for the first printing of the Book of Mormon, the foundational LDS scripture. From that day forward, the church and its leaders faced repeated fiscal hardships — losing everything each time they had to abandon their homes and communities. That would have been tough for any group, but Latter-day Saints were especially hard hit. Congregations were led by lay clergy, who received no remuneration. But even those leaders who worked full time in ecclesiastical roles received little payment. Economic conditions may have prompted Mormon founder Joseph Smith to create a system for sharing resources known as the “law of consecration.” Under this plan, members were expected to give their “excess” income into a common pool maintained to help those in need. This economic experiment, similar to what was happening with other groups across the country at the time, worked with varying success in the LDS Church’s early days and in parts of pioneer Utah. Eventually, Mormons were expected to pay only 10 percent of their “increase” to the church. Most believers had paid tithing, but they did so in an uneven and unpredictable fashion until about 1900, when then-church President Lorenzo Snow asked members to pay on a “regular and consistent basis,” Quinn says. Tithing became a requirement for admittance to LDS temples, where Mormons take part in their faith’s highest ordinances. That mandate had a clear and immediate impact. At that time, the church was $2.5 million in debt, he says, but because of the tithing push, Snow’s successor Joseph F. Smith could announce in 1907 that the institution was debt-free. Within a couple of decades, though, the red ink again began to flow. From 1933 to 1950, the church saved about 72 percent of its annual income, creating a large reserve. But a building program from 1958 to 1963 blotted out all the reserve funds, and the church didn’t have enough liquid assets to meet all its obligations. Starting in 1959, the faith began deficit spending, Quinn says, and thus stopped reporting its expenditures in General Conferences, hoping to keep that fact from the members. Such anxiety led leaders to take steps to ensure that would never happen again. They brought Canadian N. Eldon Tanner on board as an apostle. Tapping his enormous financial know-how, the church began to rebuild its nest egg, cutting back on building projects and overseeing investments until it could get back in the black. 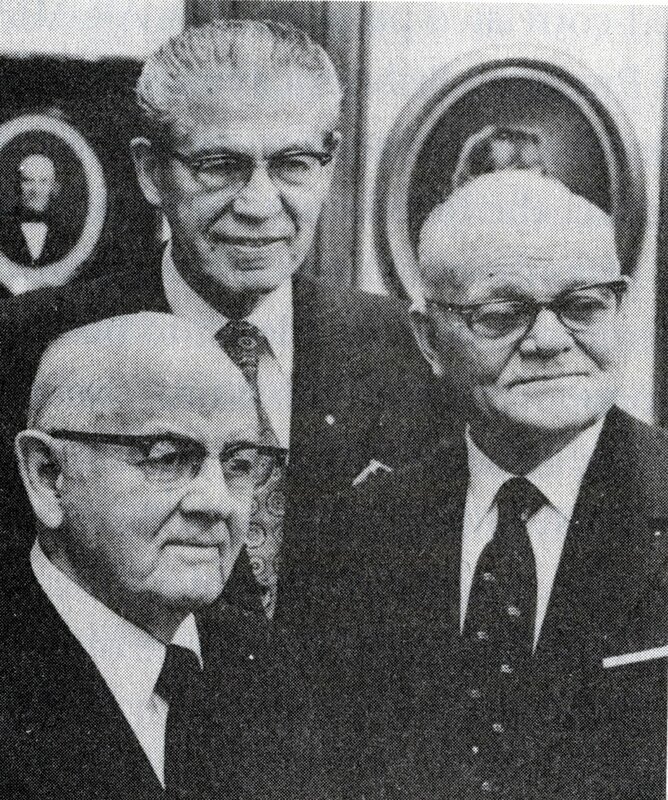 (Tribune file photo) The LDS Church First Presidency in January 1974, with church President Spencer W. Kimball, left, and counselors N. Eldon Tanner, center, and Marion G. Romney. Tanner's financial know-how helped put the Utah-based faith on the path of prosperity. At the same time, Mormon authorities did not act like corporate giants, enriching themselves on profits. Through the years, they paid themselves less than what others in their employ made, Quinn says. Today, that is sometimes barely half as much as some of the church’s skilled bureaucrats. Utah Valley University anthropologist Daymon Smith isn’t buying Quinn’s numbers or his perspective. Smith points to a major unanswered question: Why keep the finances secret, even from faithful members (working in downtown Salt Lake City’s Church Office Building, for example)? LDS author, researcher and blogger Jana Riess hasn’t read Quinn’s book, but was intrigued by his positive view of Mormon leaders and their handling of money for the global faith. The LDS convert long has recognized Mormonism’s entwining of spiritual and economic goals, yet she still believes the City Creek enterprise — at least in the way it has been marketed to members — doesn’t quite fit the theology. There is a difference between production and consumption of wealth, Riess says. Generating goods to build an economic reservoir for the future care of the church and its members is a good thing. For her, though, the Main Street venture tipped the scales from preaching frugality to promoting luxury shopping. In that mall, there is a store named True Religion that sells jeans for more than $200.